BCOM prides itself on its quality of teaching and clinical experience along with its friendly supportive atmosphere. Our clinical students see on average 20% more than the recommended 50 new patients and with our NHS contract it allows our clinical students to see an array of patients and conditions. BCOM believes it is important for our students to have this busy but clinically rewarding experience while under the supportive tuition of our experienced osteopaths. BCOM has now received three consecutive “Recognised Qualification” reports ‘with no conditions’ from the General Osteopathic Council (GOsC) and Quality Assurance Agency (QAA) demonstrating our educational quality and support for our students. 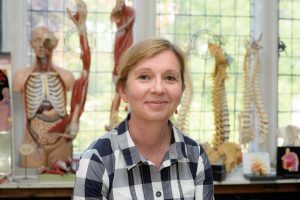 We recognise the need for specialist subjects to be taught or led by specialists in the subject areas such as anatomy, physiology, pathology and we are proud to be able to achieve this specialist teaching. BCOM has excellent facilities including a dedicated human performance laboratory as part of the research department. Our research team is active in not only osteopathic research but in sports and medical research with numerous publications. If you are considering a career as an osteopath then I hope to welcome you to one of our open days, which are always well received. I wish you well in your future career choice. BCOM's Alumni Association is committed to building relationships with former students.